Billy McNeill took over from Jock Stein as manager of Celtic on 29th May 1978 and immediately embarked on a pretty successful period in the post. Under his control, Celtic won the League title in 1978/79, 1980/81 and 1981/82; the Scottish Cup was picked up in 1980 and the League Cup in 1982/83. It was an interesting and curious time in Scottish football, as while Rangers were still picking up trophies – they had won the league in season 1977/78, just before Billy had arrived, the Scottish Cup in 1979 and 1981 plus the League Cup in 1978/79 and 81/82 – there was now the ‘New Firm’ for the Old Firm managers to cope with. Under Alex Ferguson and Jim Mclean, both Aberdeen and Dundee United became very difficult opponents, never afraid of the visits to Glasgow which had bedevilled previous sides from these areas. Unfortunately for Billy, his successes on the pitch were slightly overshadowed – on a personal level – by some problems behind the scenes. He quite openly admits to having a difficult relationship with Chairman Desmond White, the obvious difference in age compounded by White’s reluctance, at least in Billy’s eyes, to provide the money to spend on new players. Apparently, this had been a continual problem during the five years of Billy’s tenure but by the end of season 1982/83, he had had enough. 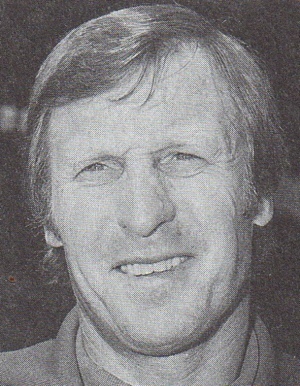 On this day in 1983, Billy McNeill headed south to take over as manager of Manchester City. This entry was posted in On This Day - By Jim Craig. Bookmark the permalink.